A hard hitting drama, A Face In The Crowd examines the ruinous trend of celebrity culture propelled by television. In a small rural Arkansas town, radio show producer Marcia Jeffries (Patricia Neal) features hard drinking drifter Larry "Lonesome" Rhodes (Andy Griffith) on her "A Face In The Crowd" radio show. Rhodes has no talent but his rambling, honest and animated monologues capture the public's imagination. He is offered a regular radio slot, and soon attracts the attention of television producers and sponsors in Memphis. Marcia relocates with him, and teams up with acerbic writer Mel Miller (Walter Matthau) to help grow Lonesome's popularity. Ambitious office worker Joey DePalma (Anthony Franciosa) recognizes Rhodes appeal, and finagles a national television deal resulting in a big contract and another relocation, this time to New York City. Now wealthy and influential beyond his dreams, Rhodes relies on Marcia to keep him somewhat grounded, but is otherwise obsessed with his celebrity status and growing influence. He starts to dabble in politics and is smitten by young cheerleader Betty Lou Fleckum (Lee Remick). 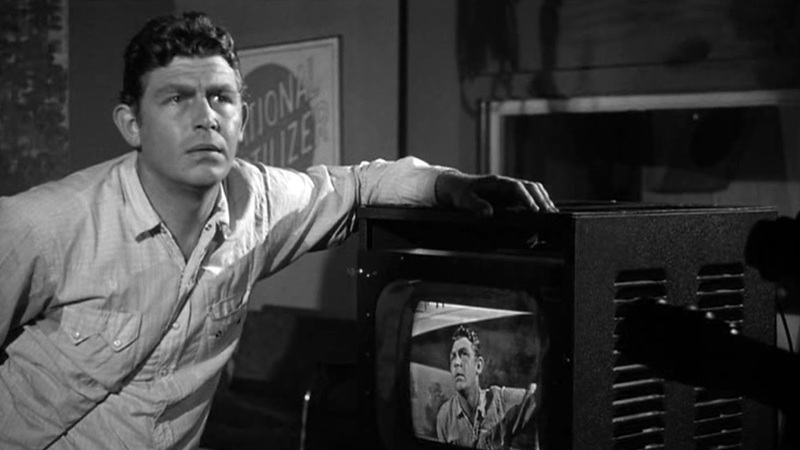 Directed by Elia Kazan and written by Budd Schulberg, A Face In The Crowd is a prescient rags-to-riches and lust-for-power story examining the emerging influence of broadcast media. In two hours Kazan traces the trajectory of Rhodes, starting from a dank prison cell where he is passed out in the corner, all the way to a New York City penthouse with Rhodes as the nations most prominent television personality and a political kingmaker influencing election campaigns. A Face In The Crowd predicts the era of talentless celebrities and influencers, capable of grabbing attention and dominating the media landscape based on little more than hot air. Rhodes' only talent is to "tell it like it is", spouting home truths with apparent blue collar honesty, poking fun at corporate sponsors and speaking in language that appeals to the less educated masses huddled around their radios and televisions. And there is plenty of money to be made on the back of an unlikely superstar, and wealth creates greedy enablers. His corporate sponsors learn to love him, and men like Joey DePalma get rich by creating business empires around him. Even Marcia, who found and unleashed the genie from the bottle, insists on getting a financial cut once she starts to doubt that Rhodes will ever be able to truly commit to her. In his film debut, Andy Griffith is a revelation, dominating almost every scene and creating a memorable character as Rhodes rides his country boy appeal to the top, always smart enough to adapt his zeal to suit ever changing circumstances. 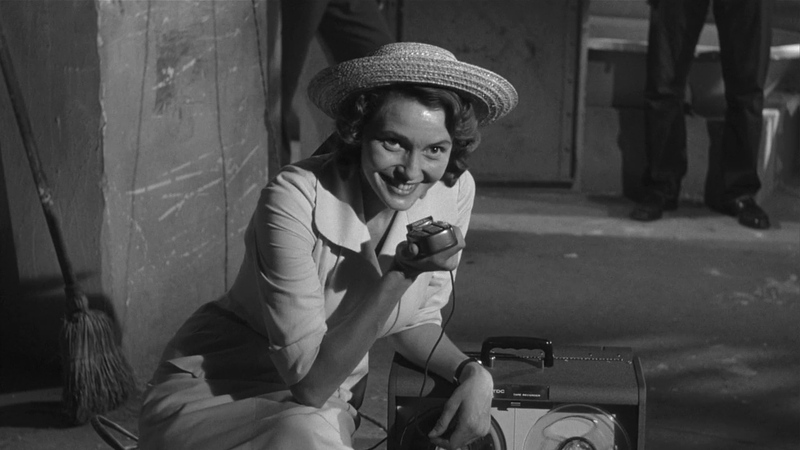 Kazan also cajoles moments of poignancy out of Griffith, often in the company of Neal's Marcia, as it becomes apparent to Rhodes that no amount of fame can fill the void inside. Every man has every right to pursue his dreams. A Face In The Crowd accompanies Lonesome Rhoades on his wild ride, and exposes the ease with which a nation can be entranced and manipulated by simplistic platitudes.